XOXO and thanks for sharing with us. Stopping in from BlogPaws linky. Ma was physically ill...not a metaphor. I just feel sick at heart and so worried for all the good people that he is going to harm. We need no words. We just need to see where it goes. I sure wish it had gone the other way. 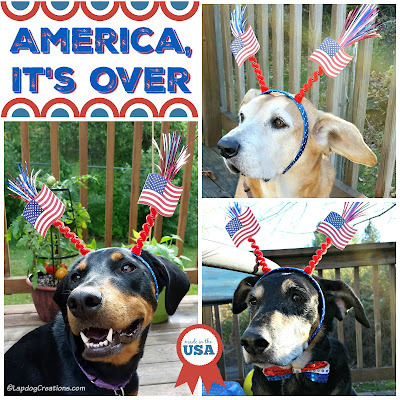 I'm scared and skeptical for what this means for our country, but your dogs have cheered me up some. Oh there are words LOL - not those we'd like to type. As Maya Angelou has said - "and so I'll rise." Hang in there, together we're gonna be alright.